Flu shot shortages and delays once led parents to look for alternatives to a flu shot to protect their kids from the flu. Even when there isn't a shortage of flu shots, there are going to be some parents who simply don't want their kids to get a flu shot. And there are others who couldn't get a shot, like if they have an allergy to eggs. Fortunately, a plentiful supply of flu vaccine in recent years and even updated guidelines for kids with egg allergies have allowed more and more kids to get vaccinated and protected from the flu. These tips may help you keep your kids safe from the flu if they still can't get a flu shot. 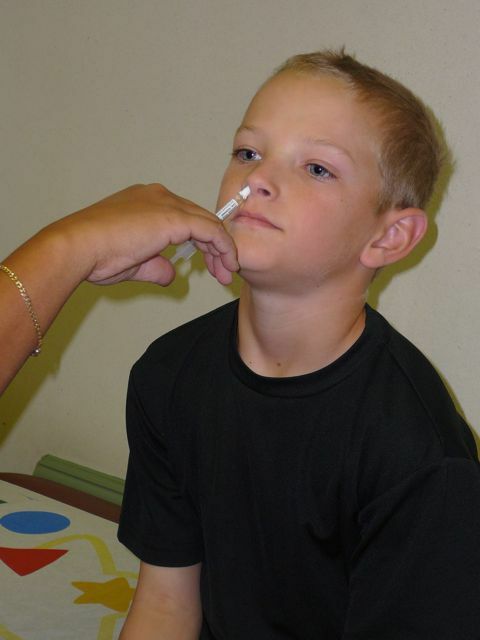 One alternative to a flu shot is to get FluMist, the nasal spray flu vaccine. There are some limitations though, including that it can only be given to healthy people from the ages of 2 to 49 years, so that leaves out younger children, the elderly and others at high risk for flu complications. It is actually now the preferred flu vaccine for healthy children between the ages of 2 and 8 years. Since FluMist is thimerosal-free, it is also a good alternative for parents who couldn't find preservative-free flu shots and were avoiding getting a flu shot because of worries over its having thimerosal. Since the majority of flu vaccines that are now made are either thimerosal-free or preservative free (with trace amounts of thimerosal), finding preservative-free flu shots should be easy though. It still shouldn't be given to kids with egg allergies though. FluMist will not be available for the 2016-17 flu season though because of "data showing the poor or relatively lower effectiveness of LAIV from 2013 through 2016." According to the CDC, amantadine and rimantadine shouldn't be used anymore though, because flu viruses have built up too much resistance to these drugs. Other people may just want to take them after being exposed to someone with the flu. For example, if one of your kids is diagnosed with the flu, it might be worthwhile to get a prescription for one of the antiviral drugs for all other household members who didn't get a flu immunization so that they don't catch it too. Tamiflu and another medication called zanamivir (Relenza), can also be used as a treatment for the flu to 'shorten the time a person infected with influenza feels ill' if they are started within 1-2 days of your becoming sick. The last alternative, which isn't always practical, is simply trying to avoid people who are sick with the flu. Or at least try and get everyone around you or your child to get vaccinated against the flu.